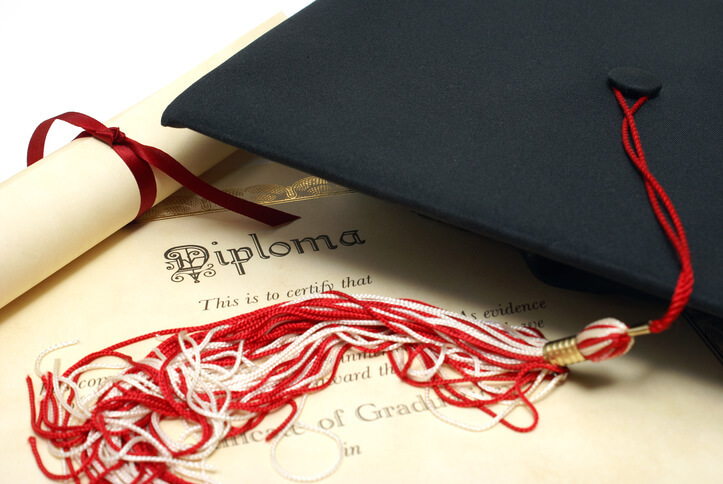 Degrees and Certifications: Got CFA + JD + MBA + MD? Despite my best efforts to bash certifications and give snarky responses to related questions, there’s still confusion on what banks care about, what you can do with different degrees, and the meaning of life. While I can’t help with the meaning of life (42? ), I can tell you which degrees and certifications mean something and help you break into finance – and which will not. Why the Hate? You’re Already Biased! I’ve seen lots of aspiring bankers use degrees and certifications as a distraction from more important goals, like getting solid internships, networking, and even getting leadership roles in groups. You may also think that degrees and certifications are a magic bullet: sure, you have a 2.1 GPA from an unknown school and you’ve worked in telemarketing for 5 years, but if you get that Bloomberg certification, Goldman Sachs will give you an offer right away, right? The usefulness of degrees and certifications varies widely by the field of finance you’re interested in. For example, if you want to be in risk management then the FRM exam is essential; if you’re doing portfolio management or equity research, the CFA is viewed as a requirement. And bankers, of course, don’t care about either of those. I’m focusing on investment banking and private equity here because that’s what this site is about and what you’re interested in if you’re reading this right now. Let’s start with degrees since they’re less painful to write about. The only degrees that banks care about are Bachelor’s, Master’s, and MBA degrees, and only for very specific reasons. But just for fun, let’s jump through the entire list and learn why – and what to do if you’ve taken the plunge into JD/PhD/MD land. Please, no more questions from 16-year olds who want to get an investment banking internship. Go outside and play in the sun, you’re probably Vitamin D-deficient anyway. This one is just a check-the-box requirement at banks, and if you’ve only graduated high school you won’t be able to do anything real – you need at least an undergraduate degree (maybe you could work as an assistant but is that what you want to do?). Your actual performance in secondary school matters more in countries like the UK where A-Levels are huge – in the US, listing high school grades or AP scores on your resume when applying to banking jobs is silly. And where you went to school only matters if it’s somewhere prestigious, like Exeter or Andover, where you might get some networking benefit. This is the bare minimum you’ll need to actually work at an investment bank, and most other finance firms. Supply and Demand – Banks have so many university graduates who’d give up a kidney to work for them that they can afford to reject 99% of applicants and still have more people than they know what to do with. Work Ethic – If you can’t finish a university degree then banks will assume that you cannot finish any project, which is a problem when you have a 100-page pitch book due in 3 hours. Yes, I know there are good reasons you didn’t get a degree – you dropped out to start your own multi-billion dollar company, you couldn’t afford college, or you became a pop star and you’re still on leave. That’s lovely, but life is not fair and if you don’t have a degree you’re not getting into investment banking or private equity. Maybe you could trade for a small prop trading firm if you’re a baller trader without a degree, but even there it’s tough – they care less about pedigree than banks, but everyone else there will have the degree. It’s approximately 100x more difficult to get into banking coming from a “non-target” school (one where banks don’t recruit) compared to a “target” school (the Ivy League, LSE, Oxbridge, and so on), so go to the best school possible. What you major in doesn’t matter too much as long as you get decent grades and internships, but you can review your options right here. You need the prestige because your undergraduate school was unknown. You had poor grades and need to press Ctrl + Z on your transcript. You didn’t get an offer and want to try again, with better access to recruiters. You’re in Europe and 5-year programs that include both the Bachelor’s and Master’s degree are common. You would need at least 3-5 years of previous work experience or 2 years as an IB analyst first. Master’s programs are less of a time and money commitment compared to MBA programs. This is the only advanced degree that allows you to “level-up” when you start working. IF you have had enough experience (usually 3-5 years in a normal industry, or 2 years as a former IB analyst), then you’ll start out one rung above the Analyst: you’ll be an Associate instead. Which means you get paid a bit more, have more responsibility, and you get to sleep 6 hours per night instead of 4. But do not assume that just because you get an MBA, banks will automatically interview you or think that you can be an Associate. There are plenty of ways to screw it up, including going to a non-top-tier school, not having enough work experience, or not showing a clear progression toward being interested in banking. So make sure you learn how to properly re-brand yourself and how to use MBA programs the right way in the first place. While Damages the TV series is awesome, most law firms are not even close to that interesting in real life: the Partners at your firm might be sadistic, but they’re still far from Patty Hewes. So many lawyers get the bright idea that they could go into finance instead and make bank while abusing their former co-workers. Just one small problem: banks don’t give a crap about law school. OK, that’s not 100% true and it’s viewed a little more favorably than the MD or PhD – but there’s no added bonus for going to law school and it’s a much more indirect path to banking. You have to graduate from law school, work in corporate law for a few years without going insane, and then network your way into banking from there. Having the law background may benefit you in areas like Restructuring and Distressed Investing where there’s legal overlap, but it’s a stretch to say that you should go to law school specifically to get into those fields. If you’ve already taken the plunge, you can’t exactly abort midway through – so finish, do corporate or securities law, and then network into banking after working for a few years. You may actually start as an Associate if you do law school and then corporate law before banking, so the JD can be another way to level-up. If you thought bankers looked down on lawyers, you’ve never seen their reaction to PhDs – ouch. Bankers and PE-ers don’t care about the degree because the math in both fields is trivial: arithmetic and a few circular references in Excel. You might be the next Stephen Hawking, but that doesn’t matter because you don’t need to understand wormholes to be a banker – you just need to understand how to change the font size in pitch books. Most bankers think that PhDs are too well-educated to go back to fixing printers and scouring through SEC filings, so there’s a significant bias against hiring them. Target a boutique that fits your background exactly – like an industrials-focused firm if you have a PhD in materials engineering, or a healthcare-focused firm if you completed an advanced degree in biochemistry. Go for equity research instead. They actually care about the degree because they want people who understand an industry in-depth – again, you would focus on groups that match your background. Go the quant route (works best with physics/math/related degrees). Sure, trading will never be what it once was, but firms always need quants and smart math people to build their models. You face a similar problem here: you’re over-educated and banks will assume that you have no interest in spreading comps if you’ve qualified to perform open heart surgery. They may also assume that you’re unable to commit to anything and stick with it: how could you have made it through years of med school without realizing you wanted to do business earlier? In this situation you’d have to follow the PhD advice above and go after boutique banks in the healthcare/biotech/pharmaceutical space and/or look into equity research. You don’t have the ideal background to be a quant, so that’s not the best idea here. You need a specific incident or person that made you interested, and a perfect explanation of how you realized that medicine was not for you after years of doing it, but how you’re simultaneously certain that finance is for you with 0 years of experience. Combo Degrees – JD + MBA? Combo degrees get another “thumbs down” from me. We already learned that adding a Master’s degree on top of a normal bachelor’s degree, for example, won’t let you start as an Associate. But what about that famed JD + MBA combination – surely that must open up more exit opportunities, right? No, not really. Most jobs are geared toward law or finance, but not both. It would be most useful in areas like Restructuring, Distressed Investing, or arguably Real Estate / Project Finance where there’s overlap with the law and legal codes. But even there, it’s a stretch to say that the JD would add much: even the MBA might not be terribly helpful if you’ve had previous, relevant experience. You may also face a branding problem if you have a law degree and a business degree: business people will think you’re a lawyer, and lawyers will think you’re in business. There’s always a temptation to think that more = better when it comes to degrees or certifications, but that’s just not true. You want the minimum investment required for maximal gain – anything more than that reduces your ROI. What about other combinations like JD + PhD + MBA, or JD + MD + MBA? Please, don’t even waste your time and money – it’s just silly. Adding more advanced degrees like this will hurt you and make you look like more and more of an academic and less and less like someone who can actually make money in the real world. This part will be shorter because certifications matter far less in banking and PE than degrees. The main one that generates debate is the CFA and whether or not it’s helpful for breaking in – others are either completely useless or marginally helpful at best. If you have a ton of free time, you’ve already networked extensively, and you already have great internships and/or a full-time job lined up, then sure, knock yourself out. Just be aware that if your bank requires them, you’ll complete the exams during training anyway. If you really want to set yourself apart before you start working, you’d be better off moving to another country for a few months and doing something interesting there. I’m not going to rehash all the arguments for and against the CFA here – go consult this article if you want to go down that path again. The short version is that it’s not the best use of your time for investment banking or private equity in developed countries, but it may be more useful in emerging markets or in fields like equity research, portfolio management, or some types of hedge funds. And do not think that it will cover up an unknown school, low grades, or no work experience – it won’t. Think of it as an added bonus and something to look into if you already have top schools, high grades, and great work experience. Look, if you want to be an accountant or a risk manager or perhaps other things outside of IB/PE, then sure, go ahead and pursue these. There’s an alphabet soup of other certifications out there, and David from Bionic Turtle does a great job of summarizing them here. There’s nothing wrong with any of these – it’s just that they will not help you much with IB/PE, because getting in is based almost entirely on practical experience. In the future, who knows, there may be an exam to get “certified” in investment banking – but for now no one takes anything like that seriously (yes, I’m talking to you, “Certified M&A Advisor”). There’s another critical reason why such certifications don’t apply to IB and PE: at the top levels these fields are based on sales, relationships, and negotiation skills – skills that can’t be tested on a written exam. Don’t even bother – you’ll learn everything you need to know (which is not much) when you start working, and you don’t even use the complex features in banking. These may actually hurt you because you do not want to be known as “The Bloomberg Guy” or “The VBA Guy” or anything else that results in annoying requests to fix other peoples’ broken-beyond-repair spreadsheets. These aren’t quite “certifications” but why not throw them in here anyway? None of these is as important as grades in university, but in the US most banks will still ask for your SAT scores, and GMAT scores can be helpful if you have low SAT scores (under 2100 in the new system). No, don’t bother going back and re-taking them if they’re low: not worth the effort. As with grades, these tests are more about whether or not you meet the minimum score they’re looking for rather than “standing out” – so please do not re-take the GMAT if you got a 720. I hope not – unless you mean a university, Master’s, or MBA degree (or one of our highly-practical investment banking courses). Otherwise, save your time and money and if you’re already too far down a path to turn back now, cut your losses and change direction as soon as you can.